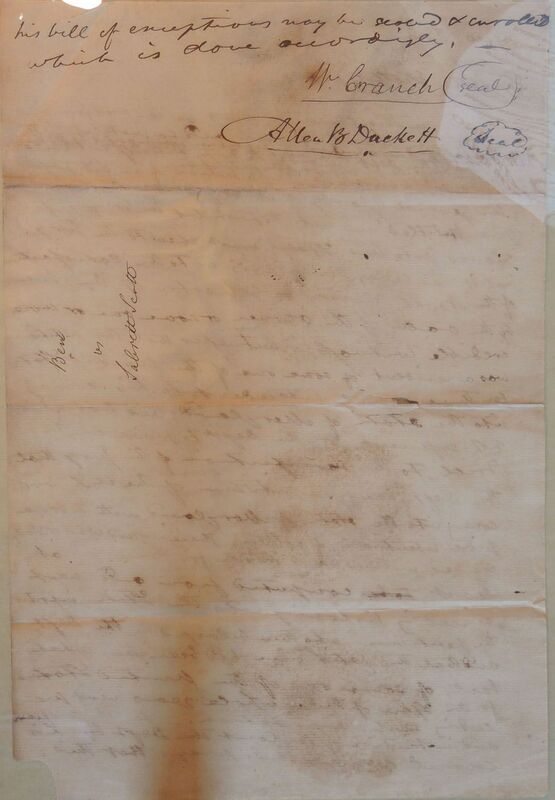 In this cause the court, on the motion of the petitioner were of opinion and so instructed the jury, if they are satisfied by the evidence that petitioner was imported by the Deft into the State of Maryland before the [illegible] 1796, to prove [illegible] jury, that the Deft in order to bring himself within the evidence was offered on the part of the petitioner, proviso contained in the first section of an act passed by the General Assembly of Maryland in the year 1783[? 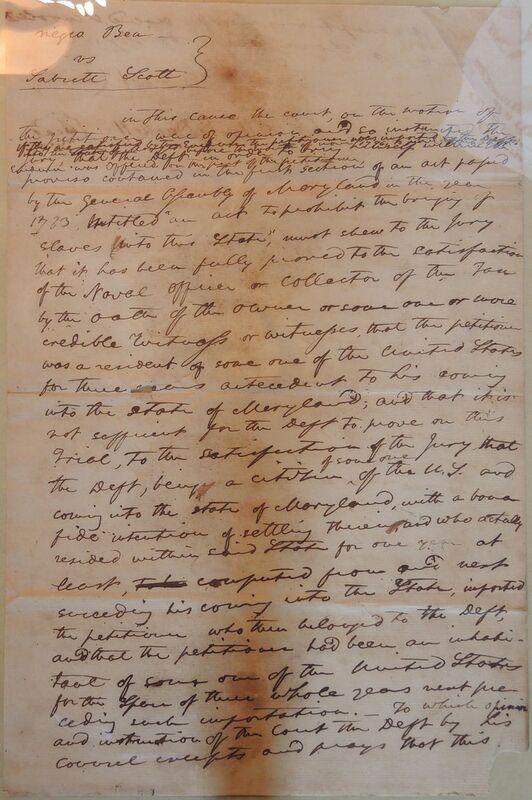 ], entitled "an act to prohibit the bringing of slaves into this State," must shew to the Jury that it has been fully proved to the satisfaction of the Naval Officer or collector of the Tax by the oath of the owner or some one or more credible witness or witnesses, that the petitioner was a resident of some one of the United States for three years antecedent to his coming into the state of Maryland; and that it is not sufficient for the Deft to prove on this Trial, To the satisfaction of the Jury that the Deft, being a citizen of some one of the U.S. and coming into the state of Maryland, with a bona fide intention of settling therein, and who actually resided within said State for one year at least, to be [illegible] from and next succeeding his coming into the State, imported the petitioner who then belonged to the Deft, and that the petitioner had been an inhabitant of some one of the United States for the space of three whole years next preceding such importation. To which opinion and instruction of the Court the Deft by his counsel excepts and prays that this his bill of exceptions may be sealed & enrolled which is done accordingly.